Donald Trump’s Alleged Links To The Mob: Following The Brussels EU Model? Whichever way you look at it the cost of cancer drugs is reaching dizzying heights. As the Washington Post pointed out this week, the $10,000-a-month cancer drug has now become the “new normal”. Today, because of this outrageous profiteering, the Pharma Cartel makes more money from cancer than any other health problem. 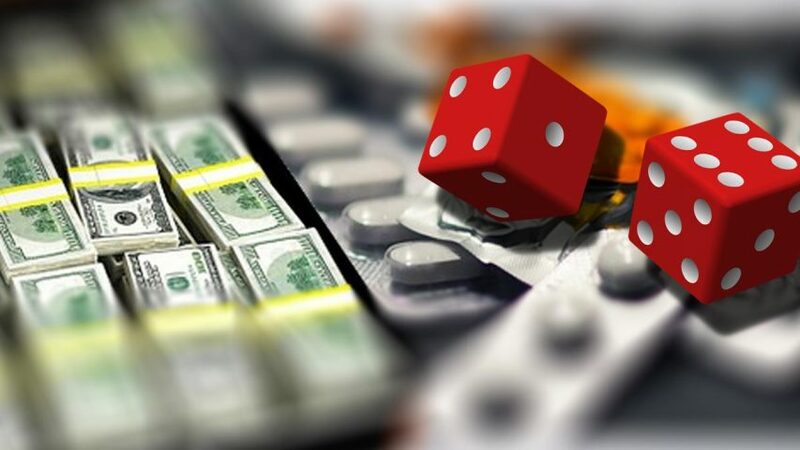 But with awareness growing that non-patentable natural approaches to controlling the disease now exist, the skyrocketing price of patented cancer drugs is increasingly a desperate gamble. Illustrating the astonishing extent to which treatment costs have risen, a study published in JAMA Oncology last month examined 32 cancer drugs given in pill form and found that their launch prices had grown dramatically over the past 14 years. From an average monthly cost of under $2,000 in 2000, launch prices had risen to a staggering $11,325 by 2014. In a similar study published only a few days ago in the Health Affairs journal, researchers looked at how the prices charged for cancer drugs in pill form had increased subsequent to their launch. They found that between 2007 and 2013 the costs had been raised by 5 percent each year. Moreover, when drug regulators gave approval for cancer drugs to be used in additional conditions, prices increased by twice this amount, at 10 percent. Long-term, however, the continued rise in the cost of drugs for cancer represents a threat to the Pharma Cartel’s market for this disease. From an economic perspective, as prices rise stratospherically higher the more likely it becomes that national healthcare systems will increasingly become unable to afford them. In some countries this is already happening. In Greece, where due to the European financial crisis unemployment now stands at almost 25 percent, the healthcare system is on the brink of collapse. As a result, since 2010 overall spending on pharmaceutical drugs has fallen in the country by 32 percent. In such situations, for ordinary individuals and governments alike, paying $10,000 dollars a month for cancer drugs becomes completely out of the question. In this respect it is interesting to note that the rise in the cost of orthodox cancer treatment over the past decade and a half has been mirrored by a simultaneous increase in global awareness that this disease can now be controlled naturally, safely and affordably, without drugs. 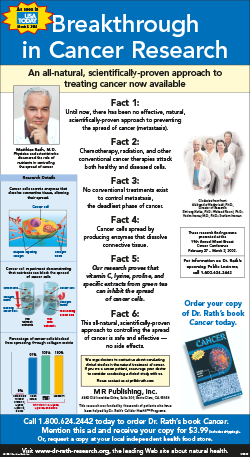 Triggered by Dr. Rath’s announcement in 2002 in the USA Today newspaper, in which he described how a natural scientifically-proven approach to treating cancer is now available, a tsunami of interest was unleashed that has continued growing to this day. It can therefore be seen that the skyrocketing cost of patented cancer drugs represents a desperate gamble by the Pharma Cartel. In the short-term, the price rises are simply the continuation of the same policy of outright greed that has seen the drug industry’s total annual global sales rise from around $600 billion in 2005 to over $1 trillion in 2014. Long-term, however, when forced to choose between rationing drug-based cancer treatments or facing the bankrupting of their healthcare systems, cash-strapped governments will increasingly have a financial incentive to consider safe, affordable, non-patentable natural approaches and examine the growing evidence that daily use of dietary supplements can reduce national healthcare costs. Meantime, many individual cancer patients have already learned that a cancer-free world is possible. Choosing to turn their backs on the pharmaceutical approach to treatment, they are taking their own decisions about what is best for themselves and their health. Having found the courage to say “No” to the systematic poisoning of their bodies with chemotherapy and other toxic oncology drugs, their recoveries provide living proof that a diagnosis of cancer need no longer be a death sentence. Ultimately, the more people who become active in sharing the truth about cancer, the sooner this disease – and the immoral greed of the pharmaceutical investment business that thrives on it – will finally be brought to an end.